For any business, a logo is a part of what makes the brand attractive and memorable for their customers and audience. Without a great logo design to showcase your brand and to be remembered by, you run the risk of getting lost in amongst the endless array of brand names that are already out there in your niche. 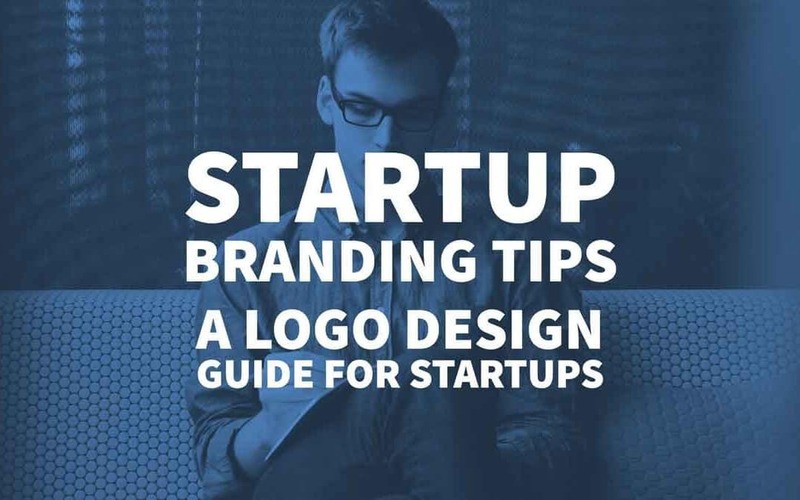 If you want to create the perfect startup logo design that will help in the branding of a startup business, this expert guide will give you the key steps on how you can achieve this. Colour is vital when designing your logo. The colour is one significant part of the visual appeal which helps to draw in your key target audience and makes the logo memorable in their minds. • Make sure the colours you choose complement each other well. • Verify that the tone mimics the feel and voice of your brand. In life, colours represent certain feelings and voices. The colour you choose should reflect what you want your audience to feel. Here’s a guide on the colour and the overall feel some colours can represent. When matching colours for your logo try to keep it at a 2-3 colour maximum. If you look at some of the most famous logos, they only use a small number of colours. This helps to not only draw attention to themselves but also helps them to be memorable and easy to identify. In a sea of logo designs, you want your logo to stand out from the crowd. The main idea of a logo design is to distinguish yourself from your competitors. Compare different brand names in your industry that are the most popular. Look at the complexity or simplicity of the design. Is the design clean cut or made up of intricate lines and drawings? Look at competitors that think outside the box. For example, Apple could have had a computer as their logo, but instead, they chose an Apple. Does your current brand name allow you to have a twist on what your logo could be? As suggested in point one, look at the colours used and how they complement each other. If they added more or fewer colours would it work just as well? Start out with the name of your brand. Chanel’s brand name, for example, is simply the name of the brand. This works exceedingly well to carry across a luxurious feel due to the black block letters. Simple, elegant and it represents the brand well. Why not start out with the name and change the colours. If this does not feel right, then start by adding an image around the name. Don’t be afraid to experiment with a few ideas as experimenting is the best way to lead to great ideas. If you are inventive enough, be smart with your design. As seen from the example below, this was quite intelligent, yet still, they kept the design simple. This design is for a golf course, yet the play on words is mimicked into the design. From first glance, it looks like a Spartan warrior, but on closer look, it is actually a golfer. This is an excellent way to not only deliver a unique and fun brand name, but it also allows you to be creative and professional at the same time. Does your brand name allow you to do something like this? Logos that work well for startup branding purposes are those that are balanced correctly in their design. Proportion is everything if you want to have a well-designed logo. Does the design fit well into the shape you have it in or does it appear too big or too small? An unbalanced logo design will tend to feel like it is drawing to one side. To fix this, you may need to work out a few ways to move the design on the shape or to add an image that helps to even out the symmetry of the design. The Apple logo is a create example of a well-balanced logo. When creating the design, you also need to think long term and where your logo will be used. For example, right now you may believe that it’ll be used only on your website, however what about the following marketing channels? Without considering the future use of your logo, you can run into major problems if the design does not suit larger advertising spaces. If you are planning to grow your business in the future, make sure the design can cater for the size and is impressionable enough for people to take notice. For any logo, you will have some form of lettering. This lettering needs to stand out and give your logo and brand the voice that you are after. However, how to do you know which type of font to use, you ask? To find out the answer to this question, you need to ask yourself a few questions in return. What is the voice you are looking to achieve for your brand? Example: professional, casual, mysterious, feminine, romantic, etc. How many letters are you placing on the logo? It is a good idea when you are choosing a font you experiment with a few until you get a sense of the best one for your brand name. Some font types offer different voices all on their own. As you can see from the examples above, many fonts give off different voices which shouldn’t be ignored when searching for the perfect font for your logo. This is why experimenting is so important. It helps you to find one that’s suitable, and that brings life to your logo. The size of your lettering is also important when you are building your logo from scratch. The logotype should be big enough for your audience to see, but not too big that it distracts from the rest of the logo. This helps to create an even structure across the logo without it being unproportioned. When deciding on a lettering size, it is important to use your judgement as some lettering sizes may not work for your logo design. If you are unsure of a size you have chosen, don’t be afraid to ask for a second opinion from fellow colleagues, family or friends to see if they have any input that may be of help. Whether you are a startup agency or an entrepreneur, these tips can help get your brand logo off the ground. Logo design is not easy, so bear in mind it is worthwhile investing your budget in working with a Branding agency for your Logo design. This is why it is so important to try and use your creative imagination to come up with ideas that are more inventive than businesses around you. After you have completed your logo, you will find that the voice and personality of your brand will come alive. So, are you ready to create an amazing logo or brand design this year? Author Bio: Will Heath – I am the founder and Creative Director at Dorne Creative, a Melbourne-based branding and web design studio. At Dorne, we have a passion for creating timeless, engaging design and seamless user experiences. We strive to create industry-leading websites and branding collateral that exemplify the quality of our client’s businesses. We have the ability to handle design projects of all type and scope under the one roof, whether it is for a new business or an existing brand looking to refresh their image.